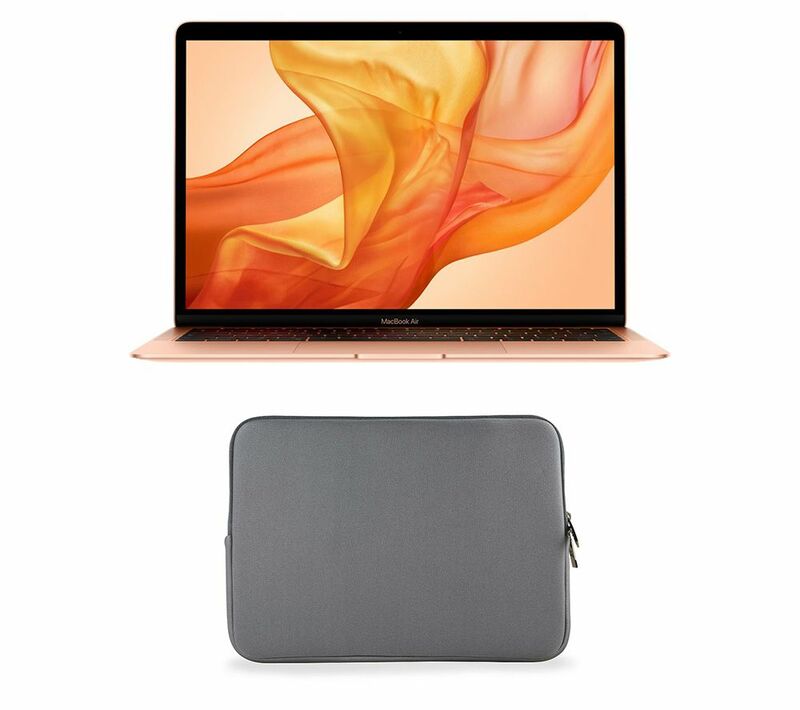 Upgrade your laptop with the Apple MacBook Air 13.3" with Retina Display (2018) & Grey Laptop Sleeve Bundle - 256 GB SSD, Gold. 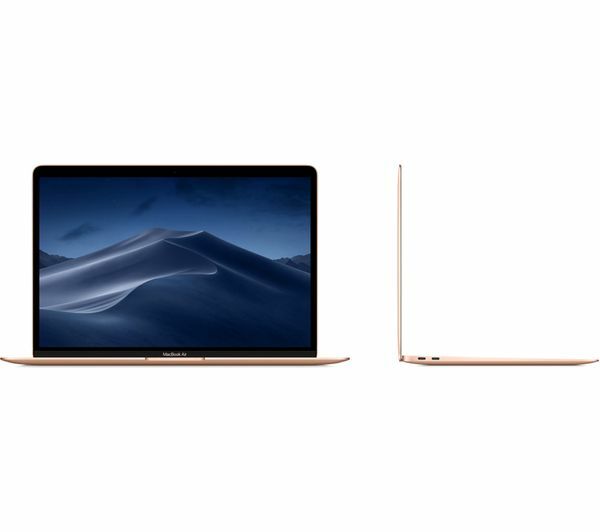 The MacBook Air is powered by an Intel® Core™ i5 processor that's fast and reliable enough to handle even the most demanding photo and video editing software. Combining impressive Intel® UHD Graphics with a stunning Retina Display screen, everything from blockbuster movies to everyday browsing is a visual joy. At the heart of the MacBook Air is a solid state drive with 256 GB of storage space. So, there's plenty of room for your work projects, movies, photos and music. SSD storage gives you lightning fast loading times, so you can get to your files in a flash. Forget the mid-day recharge. 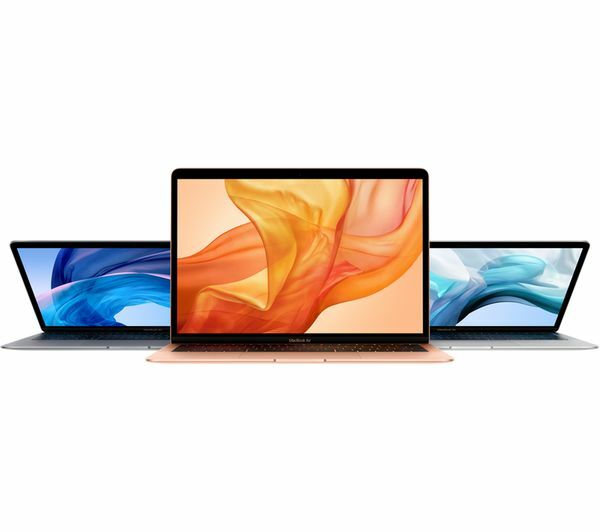 The MacBook Air with Retina Display will give you up to 12 hours of web browsing, or up to 13 hours of the content you love on iTunes. That's plenty for the entire working day, as well as your entertainment on the journey to and from the office. So, however far away you are from a plug point, you'll never need to worry about staying connected. 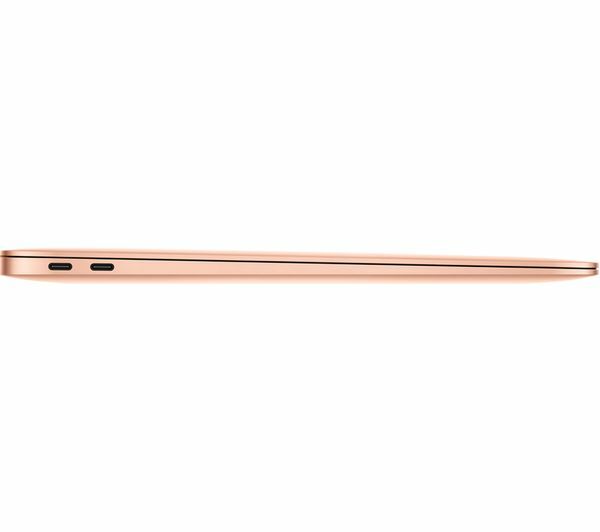 Forgotten passwords are a thing of the past thanks to the MacBook Air's Touch ID sensor. Simply place your finger over the sensor to unlock your MacBook with nothing but your fingerprint, for effortless security wherever you are. It's great for accessing sensitive documents and system settings too, so you can keep everything important safe, without needing a password. Offering protection for your laptop, tablet or MacBook, the Goji G13LSXX16 13" Laptop Sleeve is perfect for quickly and safely stowing away your hardware. Keeping your laptop safe from the inevitable knocks and bumps of travelling or commuting, the soft padded interior protects also against scratches. Featuring dual zips for easy access, the Goji G13LSXX16 13" Laptop Sleeve is a great companion for your laptop. If you're ordering this laptop for delivery or for sending to a store to collect there, add a Repair & Support Plan on the basket page. 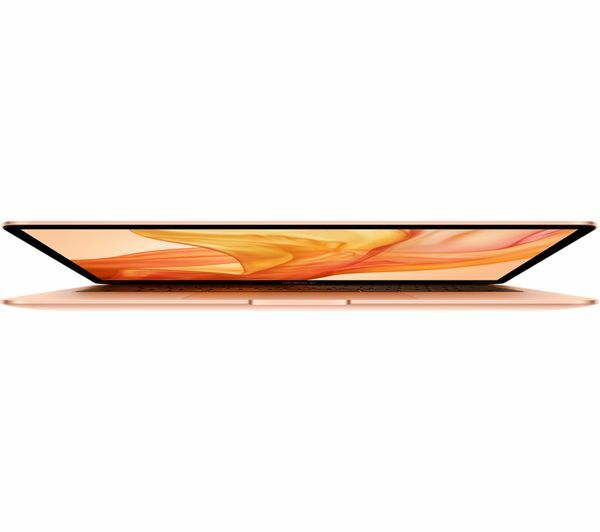 If you're reserving this laptop, add a Repair & Support Plan in store when you collect. See more on our Repair & Support Plans for laptops. Plus once you've opened an account, you can use it to shop on credit in future on anything £99 and over.